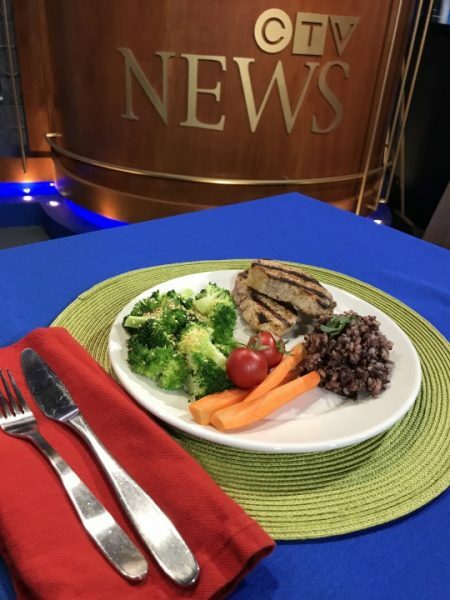 One of the most frequently asked questions in our nutrition counselling practice is “how much should I eat?” or “am I eating too much?” While the topic of portion sizes and dealing with portion distortion is a big one to debate, below I have explored 3 common myths and providing a 3-step process to determining your own personal plan for how much to eat. Just because a food label suggests a serving size, that does not mean you need or will eat that quantity for your recommended portion size. At times, you may have more (or less) than the serving size listed on the label. For example, few people only have 1/2 cup of ice cream at one time or 1 cup of breakfast cereal (from my experience the portion sizes people serve is double this). Be aware of the many marketing gimmicks that the food industry plays to attempt to showcase a serving size that is often much smaller than what people will actually eat as a portion size on their plate. While software, food tracking apps and recommended serving size charts can make a guess at what your body requires, you are not a robot. How much you need to eat is highly variable and will change based on your personal genetics, family history, age, muscle mass, physical activity level, stress level and sleep patterns. Your overall nutrition pattern over the last day, week and month will vary greatly depending on if you have been underfed, overeating and based on emotional triggers and learned behavior and habits we have developed over time. If you choose to use an app or chart to determine what to eat be sure you work with an experienced Registered Dietitian that can help you make sure the plan you are following is sustainable, evidence based and provides enough good nutrition, flexibility and variety. Many programs and apps irresponsibly provide a reward that you are allowed to eat more on days that you exercise and a punishment of less food if you have not exercised. This fundamentally goes against normal intuitive eating patterns. In fact, you may find your appetite is lowest on active days and your body will cure you to eat more to recover on days off. You are worthy of eating regardless of your physical activity patterns. Learning to identify the different kinds of hunger, trust your body and respond appropriately to your needs is key for success. What is the best way to figure out how much to eat? Instead of calorie counting, consider learning to gauge food portions in a different, more intuitive way. No smart phones or calculators, carrying around measuring cups or weighing food on food scales. All you need is your eyes and hands to get started. 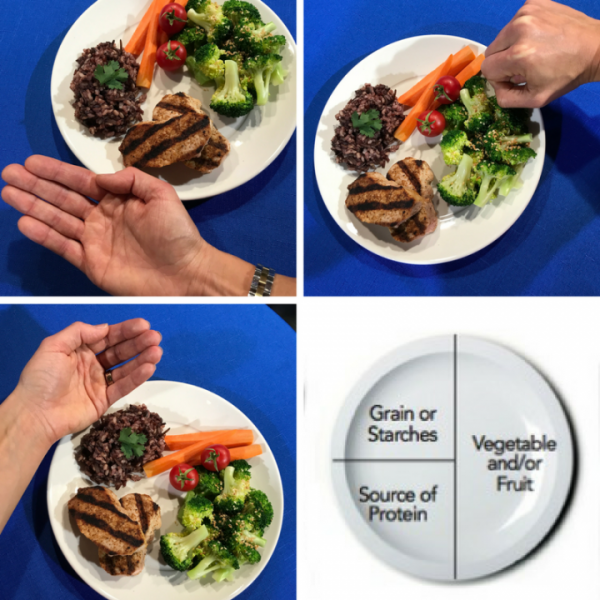 Use 1 or 2 cupped hands to help determine the size of your grains/starches at a meal. Use 1 or 2 fists to help determine the size of your vegetables at a meal. You are not a robot and your hunger and fullness will change daily like the weather. If you are full it is OK to leave food on your plate. If you are still hungry give yourself permission to have a little more. Remember it can take time for your brain and your body to connect and determine fullness. Slow down and listen to what your body is saying. When you do, your body doesn’t let you down. No judgement. Honor your hunger. 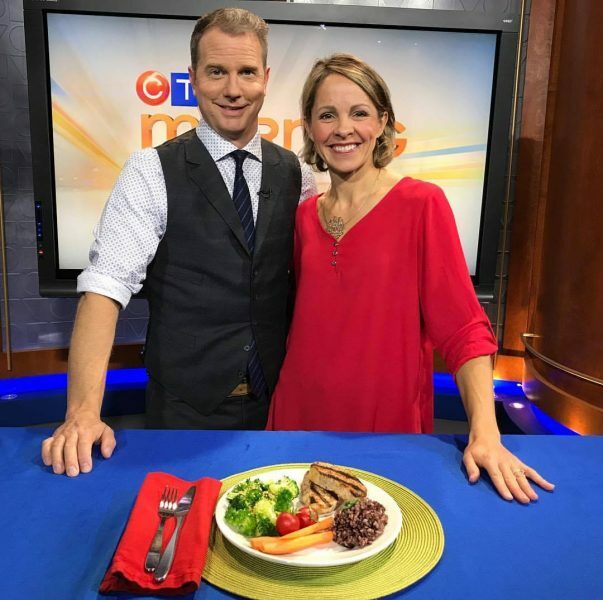 Need some help with meal prep ideas, trusting your intuitive hunger cues and nutrition counselling to help you with weight management or a health issue? Visit www.healthstandnutrition.com or contact Andrea Holwegner for a free consultation at 403-262-3466 to find out more about the Calgary dietitian nutrition counselling services available at her practice: Calgary Nutrition Counselling. The Health Stand Nutrition dietitian team specializes in meal planning, weight management, eating disorders, digestive health issues, heart health and high cholesterol, diabetes, sports nutrition and more. Our Calgary Nutritionist services are offered in our centrally located office or online through phone or video conferencing.